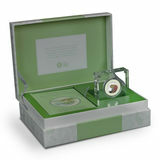 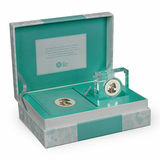 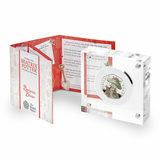 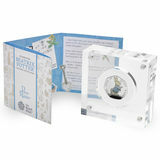 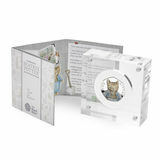 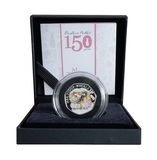 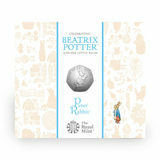 The coin is presented in an acrylic case for safekeeping and features an exclusive book cover designed for the set. 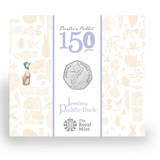 A BOOK AND 50P COIN SET PRESENTED TOGETHER FOR THE VERY FIRST TIME. 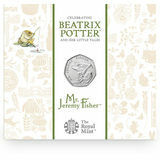 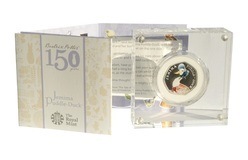 Beatrix Potter, 2016 50p 'Jemima Puddle-Duck' Brilliant Uncirculated Royal Mint Folder, Sealed as issue. 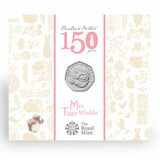 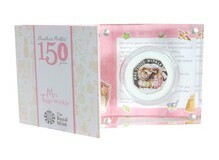 Beatrix Potter, 2016 Mrs. Tiggy-Winkle 50p in Royal Mint Folder, Sealed as issue. 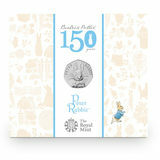 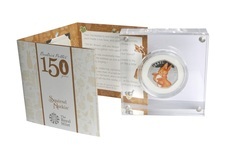 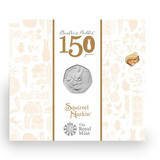 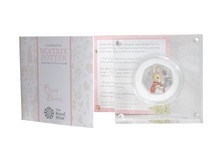 Beatrix Potter, 2016 50p 'SQUIRREL NUTKIN' Brilliant Uncirculated Royal Mint Folder, Sealed as issue. 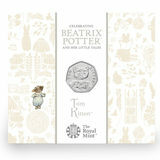 Beatrix Potter, 2017 Tom Kitten 50p in Royal Mint Folder, Sealed as issue. 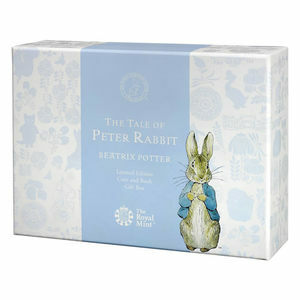 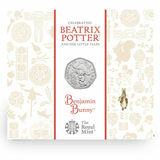 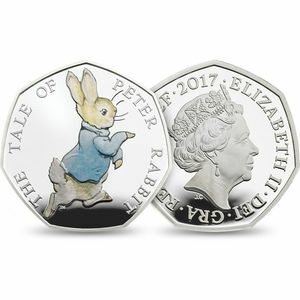 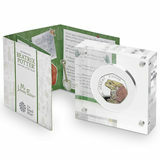 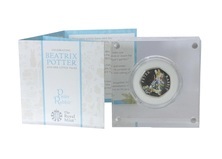 Beatrix Potter, 2017 50p 'Benjamin Bunny' Brilliant Uncirculated Royal Mint Folder, Sealed as issue.